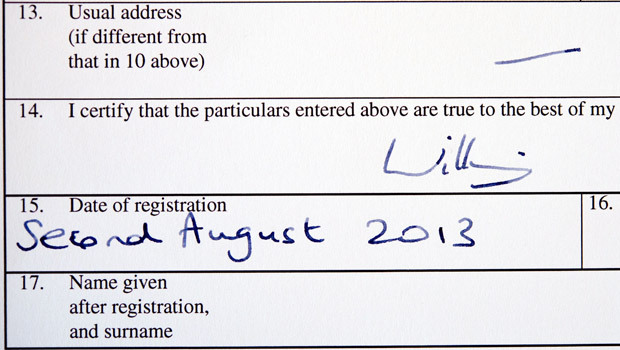 Prince George’s birth has finally been made official this afternoon, after it was registered at Kensington Palace. A Registrar from the Westminster Register Office set off for the Duke and Duchess of Cambridge’s new home at Kensington Palace this morning to obtain the official signature from Prince William on the all important certificate. 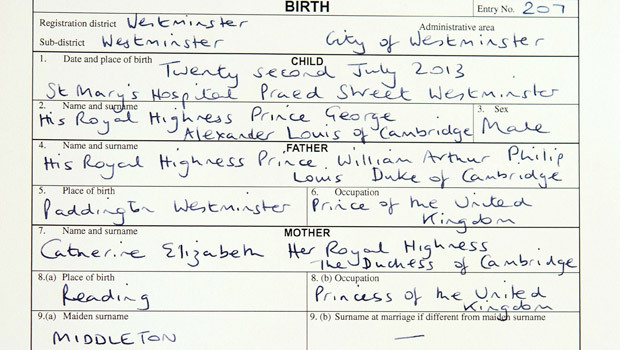 The document – which we’re able to show you in full here – feature’s the royal baby’s full name, His Royal Highness Prince George Alexander Louis of Cambridge, alongside his date and place of birth. Interestingly, it also shows his parents’ official titles, and their somewhat hilarious roles in the ‘occupation’ boxes. Squished inside in handwritten script reads ‘Prince of the United Kingdom under ‘Father’s Occupation’, while Prince George’s mother’s reads ‘Princess of the United Kingdom’. Amazing, right? Prince William has signed the document at the bottom, simply ‘William’, and it was also signed by the official Registrar, Alison Cathcart. She said: ‘It was of course a great pleasure to work with Kensington Palace in arranging the signing of the birth certificate for Prince George. This cements an association with Westminster City Council and royal births in the borough that goes back decades. The fact that William signed the document at his new home, means that the Duke managed to sneak back to London from the Middleton family home in Bucklebury unnoticed. 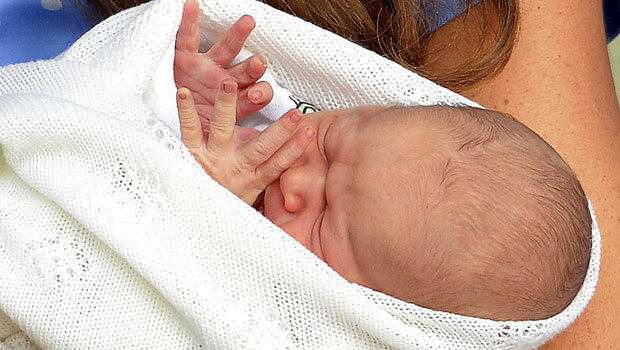 We’re assuming Kate Middleton and baby Prince George are now there too. Princess of the United Kingdom, hmm? Best. Occupation. EVER.